Find Out How Video Can Help You Today! Did you know that adding video to your website is the single best thing you can do for your SEO? Increase your SEO + Sales Conversion with Video Marketing. We’re more than just a video production company. We’re results-oriented web marketers. Not only will we produce a great video to help people understand why they should hire your company, our SEO team will optimize your video for YouTube, Google, Facebook and other search engines and web 2.0 properties. We will also help you get the video on your website, email marketing, and social media. Get Found Online With Video SEO! There has never been a better time to market your business with video. We won’t just produce a video for you and say goodbye, our team will promote your video with all the proper keywords tags so that people find your video on Google and YouTube Face book etc. 48% of smartphone users are more likely to buy! According to a study from Google, 48% of smartphone users are more likely to buy from sites with video! Check out some of our video portfolio, and let us know if you’d like to talk about a video for your business. We have affordable video production services for small, local businesses. Contact us for a free quote today! Visit our Video Production Clients list to see what businesses we’ve worked with. We’re a results-focused video production company. It doesn’t matter how sweet your video is if no one sees it. That’s why we take a holistic approach to not only using video to enhance your sales process, but also to use video as a tool to help people find your business online through mobile web design, Search Engine Optimization (SEO), Social Media Marketing, and more. 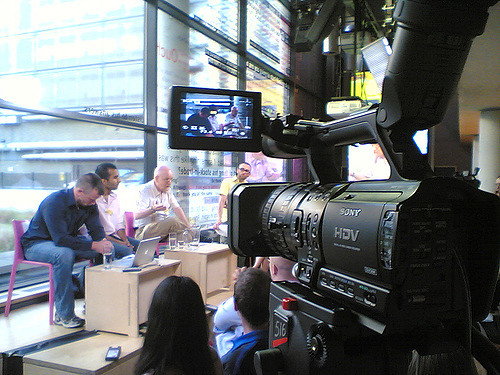 Video marketing needs to be done right. There are lots of internet marketing companies in your area. If you’re looking for the cheapest, look elsewhere. If you’re looking for a local, Alabama internet marketing company who gets great results and has a hell of a time doing it, give us a call! In marketing, it’s all about being effective and getting great results. If you’re considering hiring a web marketing agency to help you grow your business, we’d like to offer you a free web marketing review to offer ideas to help you get found online.